For many years our family has participated in a homeschool co-op. I have taught a class at the co-op for as long as we have participated. Often, coming up with an idea for a class is a bit of a challenge. 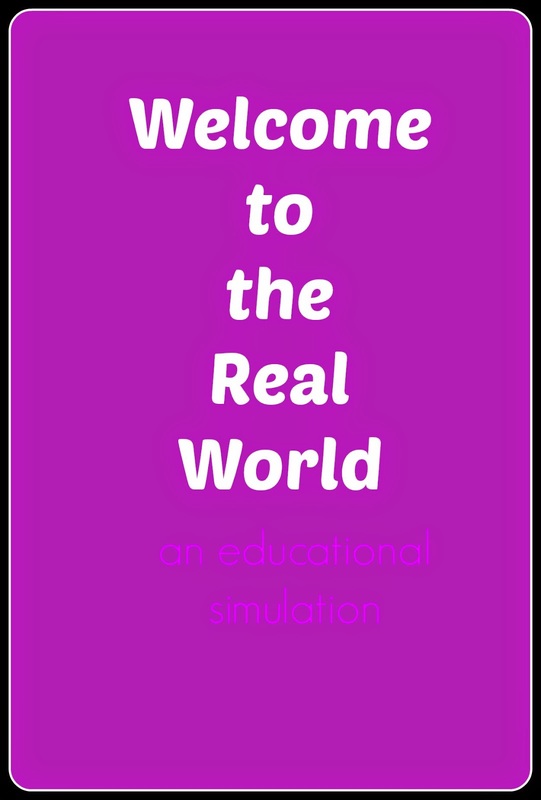 This past semester, I created and taught a class for high school students called Welcome to the Real World. This was a simulation class that led students through college, career, and financial choices to determine how those choices might play out. Students were required to research options, make a decision, follow through with that decision and make more choices based on their research and some ‘luck of the draw’. My goal for the class was to teach decision making and money management in a fun way, not to try to predict the future of any student. Our co-op lasts ten weeks each semester, so this class has ten lessons. We also discussed the fear of making decisions. High school students are at an age where they will make many, many life decisions during the next 5 -10 years. "Decision making can be scary. Fear of making a wrong decision can paralyze you into making no decision, which in itself, is a decision Don’t be afraid to make choices. Choices are not binding for the rest of your life. Yes, sometimes the consequences of choices stay with you a very long time, but you can change your course. The goal of this class is to help you make wise choices so you can avoid the consequences of poor choices." What do I ultimately want to be when I grow up? "You don't want to live in your parents basement," became the class joke. Some weeks required more research homework than others and the first week kept the students busy with research. 4. Which, if any, companies offer on the job training? 3. 5 possible careers that do not require a 4 year degree. These do not have to be jobs/careers that you are interested in. I will cover the remaining weeks of this class in up-coming posts. Be sure to subscribe to my blog to see how my students' 'real world' happened.